Background: I have an undergraduate degree in Physics from MSU and an Ed.M. from Temple U. After serving in the US Air Force, briefly as a student pilot and long term as a "Weapons Controller" (armed aircraft traffic controller), I moved to Philadelphia. I taught Physics there for ten years and home schooled our three children, my wife bearing most of the burden. We moved to Grand Rapids in 1988 to be near our extended families. My career also included engineering work for a defense contractor and for the Naval Air Development Center, both in Philadelphia. Back in GR, I worked in sales and served as AWANA Commander at Calvary Church. My wife and I now attend First RPC of GR. My hobbies include amateur astronomy and eschatology. 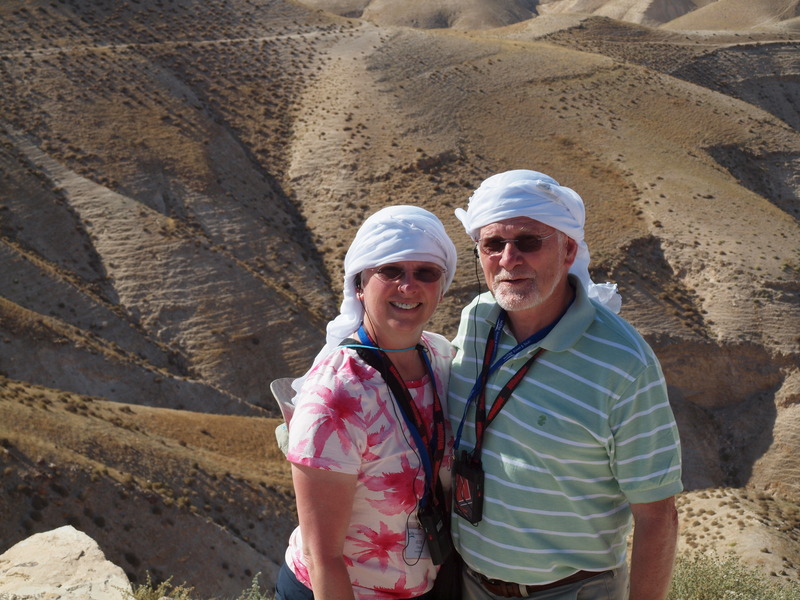 Background: Sarah is a Registered Nurse who has been married to her husband John for 44 years. Sarah homeschooled for 20 years. All 3 of her children graduated from college and are committed Christians who are active in their churches. 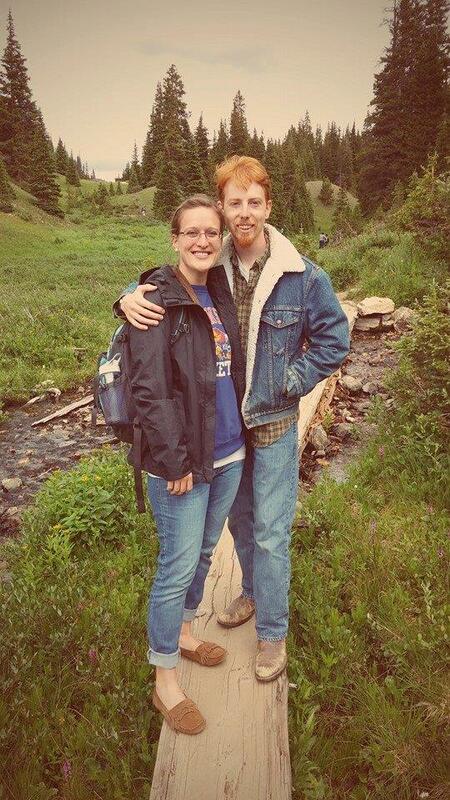 Joseph is an accountant, Elizabeth (Liz) is homeschooling her 3 children, and Samuel works as a software engineer. Samuel also serves as an officer in the US Army Reserves. Sarah worked part-time as a nurse while home schooling and currently teaches childbirth education classes at Metro Health. Sarah also teaches pregnancy education classes and mentors women at the Alpha Women’s Center in Grand Rapids. One of the reasons Sarah and John pursued home schooling was to provide a learning environment that blends academics with faith in the revealed Word of God. Sarah believes that the study of Science can increase our faith rather than undermine it when we learn the facts, understand the difference between fact and theory, and ground our thinking on a biblical worldview. 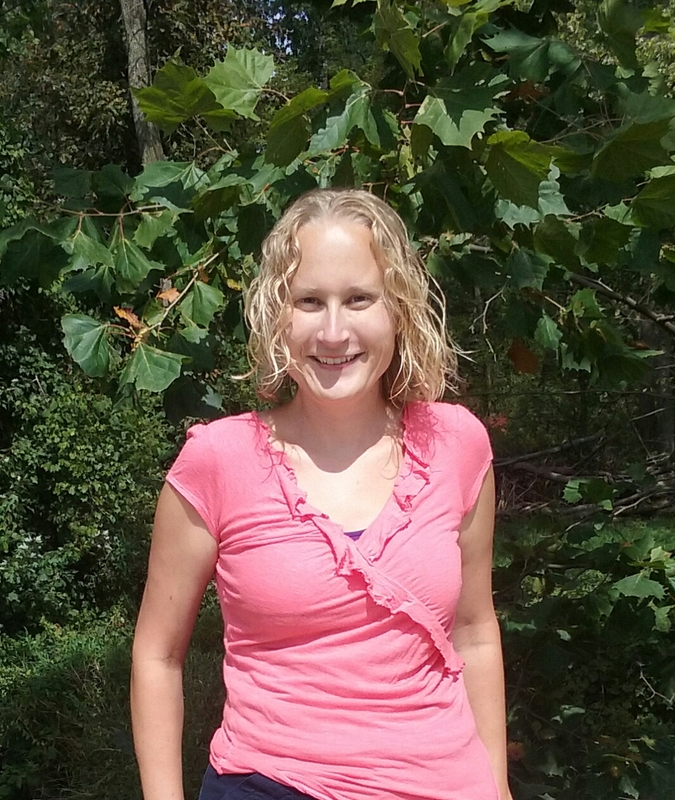 Sarah taught 7th grade Science for 4 years for a homeschool program in Illinois. Her personal walk with the Lord is the foundation of her teaching and she will be encouraging her students to explore their beliefs and build a firm foundation for learning in the years to come. Sarah and John attend Voyage Community Church. 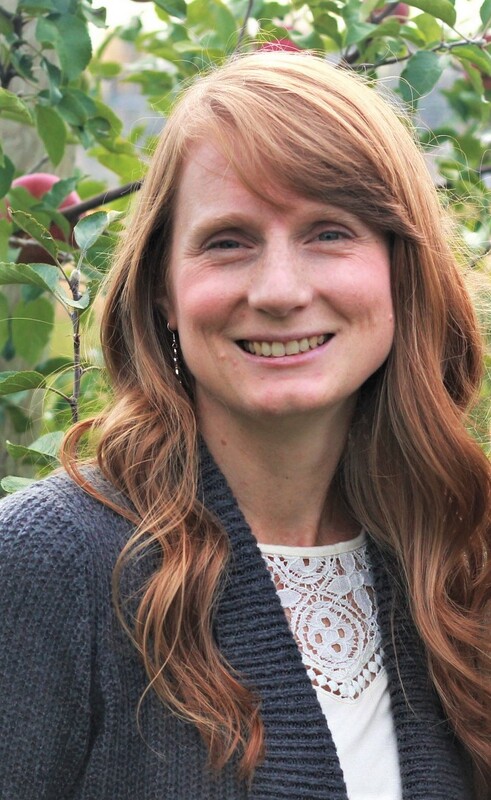 When not keeping up with current studies relating to childbirth and newborns or supporting her husband and children in their endeavors, Sarah can be found reading, with a special interest in various Christian fiction genres. Background: Tammy is married to Joe, has 3 daughters, and a Jack Russell Terrier. She home schooled her daughters for a total of 17 years. All three girls are now graduated, two of which are now married. Tammy has three grandsons, Shane, Emmett, and Darren, and 6 granddaughters, Angelle, Ayclinn, April, Scarlett, Victoria, and Elyse. Tammy currently works four days a week for Seventh Reformed Church where she has been a member since her conversion in 1986. She was the previous Administrative Assistant for GRACE from 1994-2008. She continues to do the bookkeeping and registrations for GRACE since stepping down as Administrative Assistant in 2008. She increased her work with GRACE in 2016 to help make the switch to the PraxiSchool School Management System. Background: I am honored to be teaching at GRACE, as I actually graduated from GRACE as a high schooler in 2001. I enjoyed taking my first art classes at GRACE, where I learned how much I loved to oil paint. Since then, I have grown as an artist, using all kinds of media... Through the years, I have sold dozens of oil paintings, participated in Artprize, and have been commissioned on many occasions to create art for various clients. Also, I have a huge passion for art photography, black and white film photography. I studied clinical nutrition and herbalism at Blue Heron Academy of the Healing Arts and Sciences, where I received my certification to be a Master Herbalist. In contrast, my background involved mostly sports and fitness, as I was a figure skater and coached children and adults in figure skating, and due to an injury in 2004, I believe God redirected my life-path. It was then that I truly delved into the fine arts in a new way, and I knew God was working in my life to do more with me than just athleticism. I live in Grand Rapids during the school year, and for the last 5 summers, I have enjoyed living and working at a Christian Conference Center on Lake Michigan in Norton Shores, MI. My life go-to verse has become Ecclesiastes 9:10- "Whatever your hand finds to do, do it with all your might"... I have learned to be "all there where ever I am" and no matter how menial or grand the task, do it all to the glory of God, my Creator! 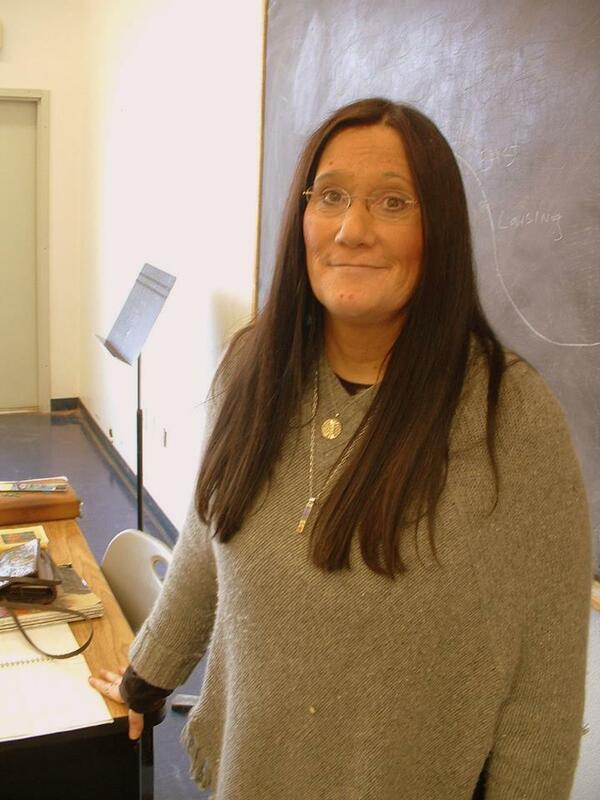 Background: Lorrie started teaching for GRACE in 1995, just one year after GRACE began. She has taught art for children as well as adults not only for GRACE, but also for Zion Christian and HSAP (Home School Ancillary Program). Her hobbies include botanical studies and America's Early History for re-enacting. Bible Study Fellowship is an ongoing passion and outreach throughout the year. So if "Anything Art" is your interest, there is room in her class! Background: Here at Grace I teach Physics. I attended Embry-Riddle Aeronautical University in Daytona Beach Florida, and have a BS in Aviation Computer Science. I have four children. One is in his 3rd year at Embry-Riddle Aeronautical University, one just finished the EMT program at Great Lakes, and the other two are in elementary school. While my passion is math, music and creative writing, physics is growing on me. I excelled in physics in both high school and college. In college I was a Supplemental Instruction Leader for Calculus I and Calculus II. 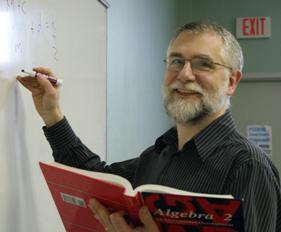 I love math, and have been tutoring all math levels for the past 17 years. My main passion is tutoring students who are struggling in school. Background: My name is Ben Franks. I've grown up in the church my whole life (my Dad has been a PCA minister for almost 25 years) and was home-schooled for most of my upbringing. I've lived in seven States, have six siblings, and spent a year working as a missionary in South Yorkshire, England. I graduated with a B.A. in Classical Christian Education from Whitefield College (although I'll always partly consider Patrick Henry College as my Alma Mater since I attended there for a year) and I just moved to Grand Rapids to be a seminary student in the M.Div program at Puritan Reformed Theological Seminary. I married my lovely wife, Cherie, (pronounced the French way) on July 4th, 2015 and God blessed us with a beautiful baby girl in March, 2017! God has given me a wide range of interests which can sometimes make me feel like I'm always going a mile wide and an inch deep. I love history, theology, music (I play piano, guitar, mandolin, and Irish penny whistle - but not well), politics, philosophy, the classics, languages, reading, travel, gardening, & martial arts (primarily Wing Chun with some other things mixed in as well). Teaching and Preaching are the two great passions of my life and I'm excited to be able to share my love of history with the students at GRACE! Background: I was raised in Byron Center Michigan, attended South Christian High School and graduated from Calvin College with a double major in Social Work and Elementary Education. After teaching at Dutton Christian School for 5 years, God took me on an adventure of teaching overseas. I accepted a position at a wonderful Christian school in Istanbul, Turkey where I was blessed to teach for 6 years. During this time I met my husband, Rob, who was also working there. We were married in Istanbul and returned to the USA after the birth of our first daughter. My husband took a youth pastor position in Tennessee and our son was born in our town near Nashville. We decided that being close to family was a priority and moved back to my home, Michigan (Rob is from Houston) in 2005. After all of that traveling we ended up buying a home next door to my parents' home in Byron Center and the kids run back and forth daily. It's been a wonderful landing spot for our family of now 5. Our youngest daughter was born in 2009. I have homeschooled our children with much thankfulness since kindergarten. I cannot wait to meet your children and teach them about God's great world!!! Background: I have lived in the Alto/Ada area my whole life. Because of my passion for music, I have been involved in a variety of orchestras and choirs in Grand Rapids. Over the last seven years, I have especially enjoyed playing my cello for special music at church, funerals, and weddings as part of the Stringin' Sloothaak's Trio. My love for children has brought me opportunities to teach children music in the children's program at a local family camp for the past five years. My involvement with children extends to a variety of programs such as the MOPS program (Mother's of Preschoolers), a horse riding program for children with disabilities, Awana Cubbie 3-5 year old leader, as well as the children's music director at a local church. I am a home school graduate and now my focus is on introducing children to music. This brings me such joy as I see the delight it brings to the children! Background: Irene is the GRACE Graduation and Iowa Basic Testing Coordinator as well as the Lunch Provider. She is the mother of 9 children, ages 26 to 5 years, and grandmother of five. Her five oldest children have been homeschooled at varying levels. Her three teenage boys at the high school level are currently being homeschooled. Irene has a B.S. of Psychology from Calvin College. In her spare time she teaches Sunday School, fulfills her duties on various committees of organizations her children take part in (such as Hornets Basketball, Home School Performing Arts, etc. ), takes walks with Randy, and spends time with her grandchildren. 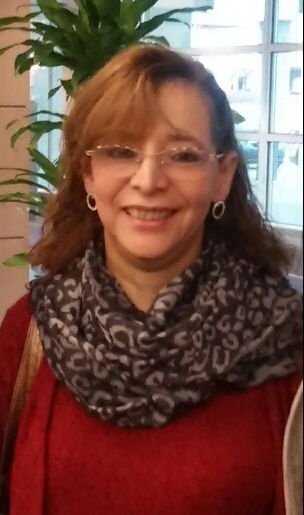 Some additional favorite activities Irene enjoys include camping with the family, baking, sharing a cup of coffee with a friend, music, reading, and traveling to California to see her extended family. Background: I along with my wife, Irene, upon fulfilling our portion of the Biblical mandate to fill the earth, am presently engaged on the subduing "part". With nine children and five+ grandchildren (one more on the way), we keep busy with responsibilities in a number of places. Along with my new position as the administrator of GRACE Home School Association, I am currently leading Dearborn Christian School as principal through a change process to sustain Christian education in this increasingly darkening place. This is a part time position that takes me to Dearborn two days each week. Additionally, we continue to promote our home school/business venture, EDventours in Learning, a group tour education idea in which we design, market, and give tours to education-related venues like the Creation Museum, Gettysburg, and Washington DC. Irene and I have been involved in home schooling for over 20 years, and have been involved with GRACE for the past 12 years. We currently home school five children. I've been blessed to be involved with the Hudsonville Hornets Home School basketball organization as the coach of the JV and Varsity teams for the past three years. As GRACE administrator, it is an honor to serve you. Please feel free to contact me with any questions, concern, or comment you may have. Background: I graduated from Cornerstone University in 2012 with an Environmental Biology degree. I loves exploring and teaching about the creation. My favorite things to do outdoors are hike, snorkel, and scuba dive. Along with teaching science I also have a part time job at the zoo where I take care of the educational animals, help the zookeepers, and make all the animals diets. God is so creative, and I’m looking forward to helping students this year marvel at the magnificent design of different animals and the Human body! Background: I have a BA in Social Studies and English from Cornerstone University and a MA Ed from Cornerstone as well. I have taught Social Studies and English classes in GRPS from 2010-2015. 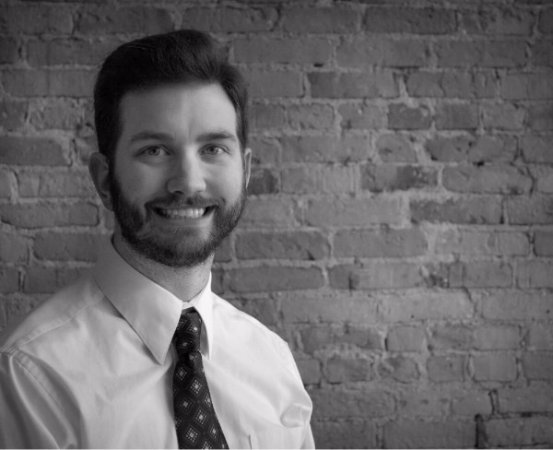 I currently work as an Instructional Designer at Inno-Versity and an Adjunct Professor at Cornerstone University. My wife and I have been married since 2010 and have a daughter who was born in 2013. I absolutely love teaching. began at Cornerstone University, where she was Assistant Editor and Editor of The Herald during her junior and senior year. 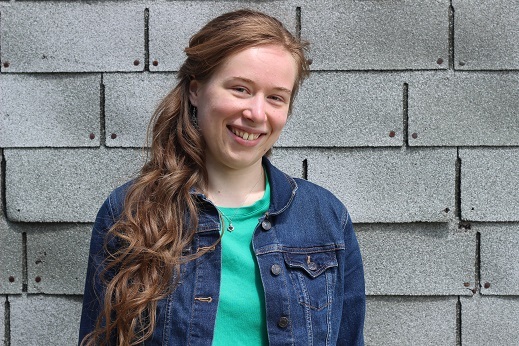 After interning at The Greenville Daily News Martha went on to work as a writer and editor for The Wordsmiths, a marketing firm in Grand Rapids. Since becoming a mother she has worked or volunteered as a writer and copy editor for several organizations, including Word & Deed Magazine, Free Reformed Publications, and her local church. Ever a "Wordsmith", Martha looks forward to sharing her passion for the written word with GRACE students in this year's Journalism class. Background: I went to college to become a Physics teacher but through my parents' influence I ended up with a Bachelor's Degree in Nursing. It was in college that I first heard of the Gospel of salvation by sovereign grace in Christ alone. While attending a church in NJ, I met my husband and we then moved to Michigan where we home schooled our children from kindergarten to high school. One son is now an engineer in Ann Arbor and another son is in a PhD Computer Science program in PA. I have a burden in my heart to help students succeed in the field of mathematics. My hobbies include gardening, nutritional research, and coordinating a local health food buying club. Background: Schuyler McConkey is a 22-year-old homeschool graduate, grateful to the Lord for her salvation and sanctification. She fills her days with a house help job, being an election inspector, and of course, her great love for writing. 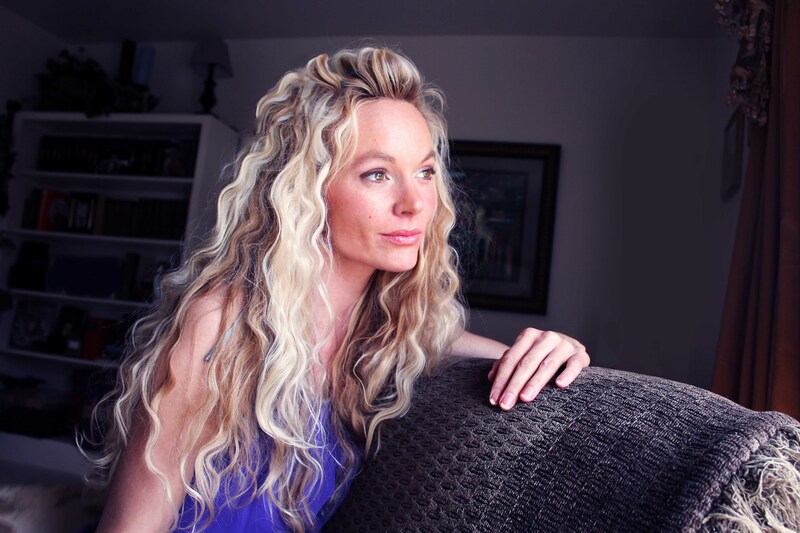 She has completed several novels and short stories and is currently pursuing publication. On Tuesdays and Fridays, she writes a book blog where she teaches Christian evaluation methods of classic literature and reviews her personal favorites. A ministry leader for girls ages 10-16, Schuyler runs a Bright Lights group that teaches girls how to live their teen years for the Lord with no regrets. Background: Ruth has been with GRACE for over 13 years. Currently she also serves as a GRACE Board Member. She was been married to Peter for 30 years, had 9 children (three of whom were married in the last four years), has 36 grandchildren and one more on the way. Ruth lost her husband Peter in November of 2018. She graduated from Calvin College. She teaches a weekly Bible Study in a Middleville retirement home, Carveth Village. She sings in a Psalm Choir and in Jubilee, a small women's ensemble, which includes 3 daughters, 2 granddaughters, and one niece. They sing at nursing homes and give a benefit concert once a year for faith-based, non-profit organizations like Pregnancy Resource Center and Divine Hope Reformed Seminary (prison ministry), and recorded their 3rd CD. Background: My husband, David, and I have homeschooled our 4 children for many years. We currently teach three of our children at home; our oldest son begins college in the fall. I am a native of South Florida and moved to Michigan after high school to attend Calvin College. I earned a Bachelor of Science in Biology and a minor in Biochemistry from Calvin College. I also studied at the University of Iowa and received an M.S. in Environmental Health. I met my husband in college and we moved back to West Michigan as he is a professor of Classics at Calvin. I am looking forward to teaching at GRACE and sharing my love for science with the students. Background: Dr. Rick Olsen is a member of the Board of the Grace Home School Association. He and his wife Heidi attend Dutton United Reformed Church. They have seven grown children and eight grandchildren. Rick started his professional career as a Research Scientist at The Upjohn Company (now Pfizer) in Kalamazoo. Upon leaving Upjohn, he accepted a position as a member of the Science Department at Nazareth College. When Nazareth closed due to economic hardship, he accepted a teaching position in the Science Department at Kalamazoo Valley Community College, where he served for several years as the Department Head. After a decade of teaching, he made the transition to Grand Rapids Community College, where he held the positions of Assistant Dean, Dean and Associate Provost over ten years of service to the College. His primary areas of interest are student success, assessment, and the impact of learning environments on the learning process. He retired from Grand Rapids Community College in 2011 and now teaches there as an adjunct faculty in the Biology Department. Background: Art is my passion as well as teaching and nothing gives me greater joy than helping students develop their skills with the glory given to God! My love for teaching began while I was in college majoring in elementary education and I worked as a para-pro for learning challenged kids. As I saw how art enhanced the learning for these special needs kids, I realized art education was the area I needed to focus. I have now been teaching art in local schools and home school groups since 1999. I continue to practice my skills in my free time and enjoy competing in juried art shows and ARTPrize. When I’m not teaching at GRACE and other locations, I am usually volunteering my time with the Swedish American Heritage society as a board member and newsletter designer or spending time with my grandchildren. Background: I grew up in Canada and came to the United States when I married my husband. God has blessed us with four children. We have been led to homeschool them from kindergarten on, and have been thankful and amazed at how God brought us through so far. Our oldest graduated college with a degree as a Physical Therapy Assistant and she is now married. Our second in attending the University of Michigan for a degree in Civil Engineering. Our third is pursuing a degree in Criminal Justice and our last child is in high school. We are grateful for what GRACEhas to offer us in helping us homeschool our children. When not busy with teaching or household demands, I enjoy sitting down with a good book, especially biographies, spending time outside and visiting with friends. I am excited to be part of the board, and for the opportunity to work beside the godly people who make up the board. Background: Carol grew up in Michigan, graduated from Calvin college and headed for New York City, where she lived for 10 years. After marrying and having four children, she and her husband, Art, decided to move back to the Grand Rapids area. In addition to homeschooling her children, Carol has catered weddings, cooked for the GRACE lunch program, written several custom curriculum packages for new homeschooling families, and served as a substitute teacher for various English and writing classes. She and her husband attend Christ the King Presbyterian Church in Hastings. Background: Married to my wonderful husband William for 15 years. Blessed with two children, Peter, who is 13 and Annie, who is 11. Our church home is Byron PRC. I grew up in California, where I attended a very small private school. My class had only five students. I attended University of Redlands, and earned my BA in education. Shortly after graduating, my husband and I got married and moved to his home in B.C., Canada. While living there, I taught grade 3 at a Netherlands Reformed School for a few years and absolutely loved it. Just before our daughter was born, the Lord led us to move to Michigan. We currently live in Wayland, Michigan and love it. We have two dogs, one cat, a corn snake and 7 fish. We'd love to start raising chickens and goats as well. We love spending time as a family and cherish each moment God has given to us. I’m very excited to be given the opportunity to teach Research and Debate. Getting people to really think, interact and see their eyes light up when they've reached a new goal is such a blessing to witness. May we all use our minds and speech to the glory of God. Background: Bonnie Spaanstra is a Registered Nurse who has taught for GRACE Home School Association since 1995, except for two years when she lived in Northwestern Wisconsin. Classes she has taught for GRACE include Biology, Dissection, Human Anatomy and Physiology, and Body Works. She has taught for GRACE since 1995. 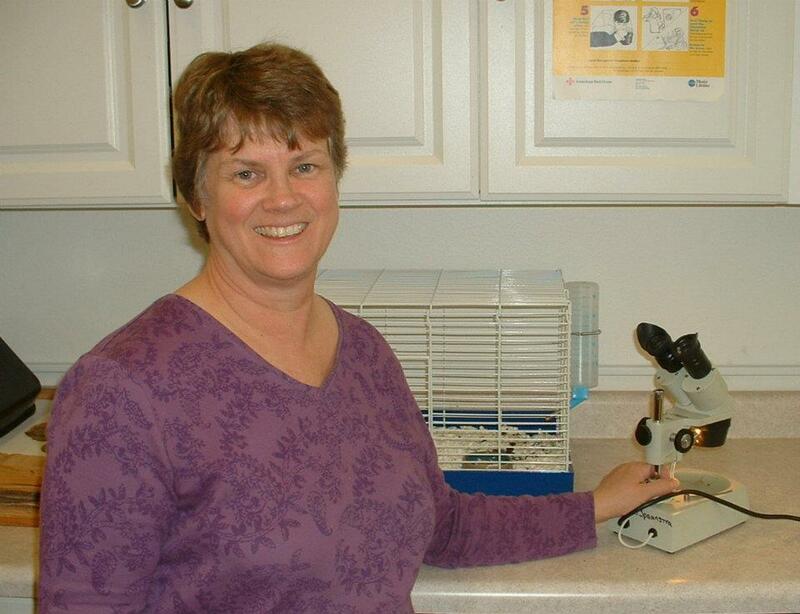 She also teaches monthly stand-alone dissection labs, not associated with GRACE classes. Additionally, she is an instructor for the American Red Cross several days a week, teaching Babysitting, CPR, and First Aid classes. Bonnie is married and the mother of 2 graduated homeschooled daughters, both currently college graduates with one in grad school. Her youngest was homeschooled her entire life, while the older daughter was homeschooled all but kindergarten and first grades. 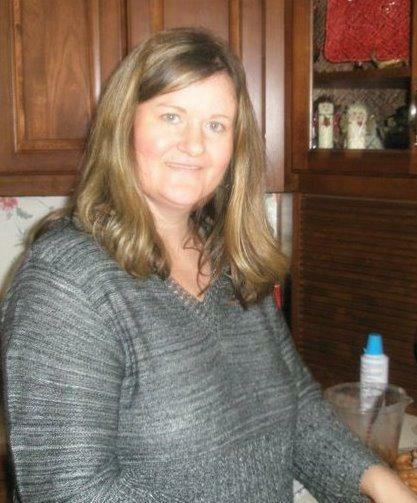 When not teaching, Bonnie enjoys sewing, crafts, and riding her daughter's horse. Background: Hola: my name is Betty Sullivan. I was born and raised in the beautiful island of Dominican Republic. My husband, Tom Sullivan and I are celebrating our 20th anniversary this year. The Lord blessed us with two boys, whom we had home schooled. Jonathan is 18, and graduated from High School in May 2015. Michael is 16 and will be a Junior this coming Fall. I was an elementary and a French High School teacher in the DR. Ever since I moved to the USA. I have taught Spanish as a second language, both at Christian schools and home-school group. I am very thankful to God for the opportunity to teach at GRACE. I truly enjoy teaching my language and always count it a blessing to use the gifts that the Lord has giving me, and pray that I will use it for His glory. Background: Who am l? I am a child of the King, a wife for 28 years, a mother of six children, and a teacher for 26 years. I love all of the job titles God has given me. My joy comes from knowing Jesus as my personal Savior and being able to share His love to my family, friends, and students. I look forward to getting back to teaching at GRACE this year. I took a year and a half off to care for one of my sons as he fought a battle against Acute Myeloid Leukemia. He had to go through 4 rounds of intensive chemo treatments and a bone marrow transplant. He currently shows no evidence of cancer but is still undergoing chemo treatments at home. God has been present everyday of this journey has taught me how to "have peace" in the midst of the troubles of this world (John 16:33). I am looking forward to sharing God's glorious creation with your children this year and getting to meet each of you! Background: My name is Terri Veen, and I live in Holland, Michigan. My husband, Jerry, and I will be celebrating our 29thyear of marriage this year. We have home-schooled two children. Because of my love of math, I went to college to become a math teacher, but through several volunteer positions, found that I had a strong desire and gift to work with students that benefit from material being taught in a variety of ways. I graduated from Hope College with a major in Special Education with endorsements in Learning Disabilities & Emotional Impairment, and a minor in math. I taught in a Special Ed classroom until we had children. I was very blessed to be able to stay at home with my children. Now that both of them have gone off to college, I am enjoying tutoring, substitute teaching in both Holland and Zeeland, and am looking forward to sharing my love of math and the opportunity to teach at GRACE. Background: Robyn and her husband Steve have been happily married since 1991 and have four children. Their three oldest children have graduated from GRACE Home School Association. Their daughter completed her undergraduate work at Hillsdale College and is now working on her Ph.D. at Michigan State University. 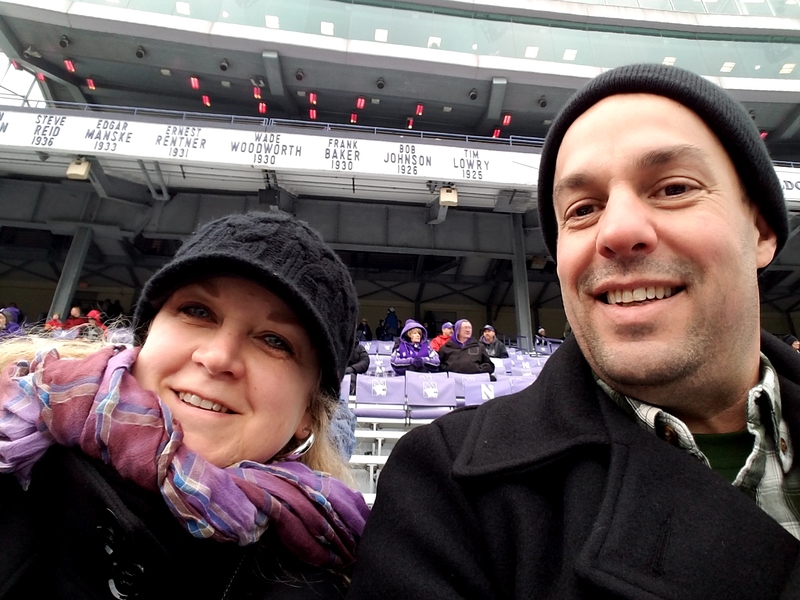 Their oldest son completed his Engineering degree at Grand Valley State University, is married and is working as a Controls Engineer. Their next son is attending Grand Valley State Unversity, majoring in Biomedical Sciences and hopes to pursue a career in the medical field. 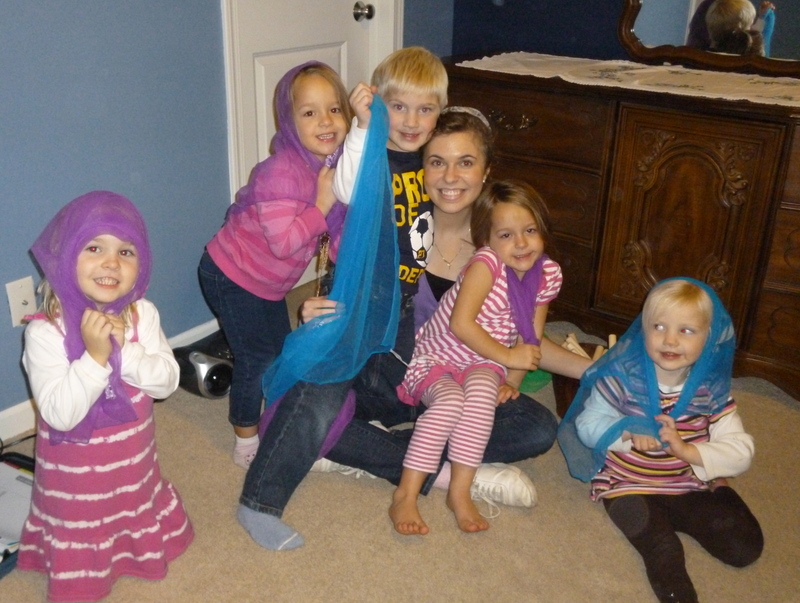 Their youngest child continues to enjoy her classes, instructors, and friends at GRACE. 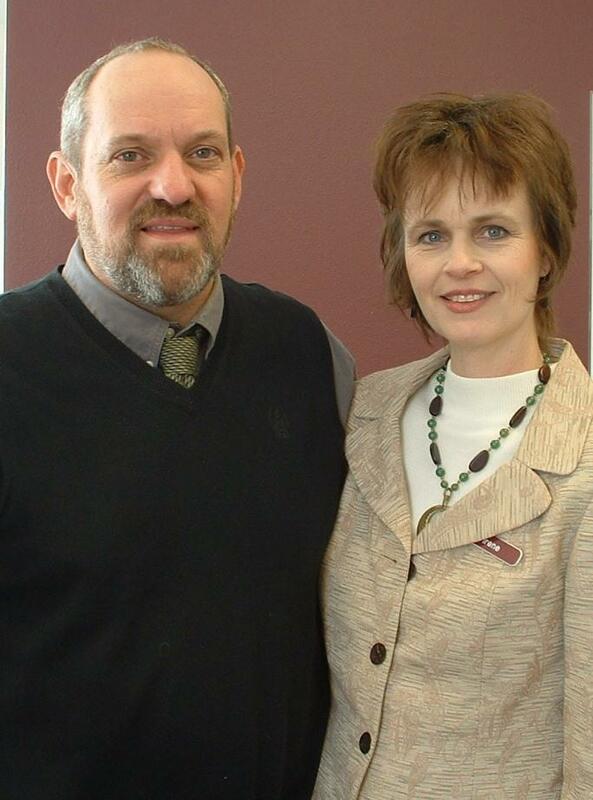 Beginning in 2003, Steve and Robyn felt called to homeschool and have been blessed to have been part of GRACE for every year of that rewarding journey. They are eternally grateful for the Christian mentoring their children have received through their close relationships with the GRACE staff.